Welcome to the fourty-sixth episode of Kidmin Talk, the webcast show hosted by Karl Bastian, the Kidologist. Listen here on Kidology or subscribe via iTunes to listen on-the-go with your iPhone, iPod, iPad, or other mobile device. 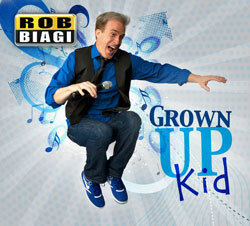 FEATURED MUSIC: ROB BIAGI's NEW Album: Grown Up Kid! The "Beef" in our ministry is the Bible... how much Bible is in your ministry? Or is it missing? If the Bible is to be kids map, guide, owner's manual, guide for life... and not our programs or us... we need to equip them to use it. Start with the Bible ourselves in our own preparation, not with the curriculum. Everything else is appetizer, side dishes, dessert to suppor the Main Dish. Get a journal, read one chapter a day, and choose only one verse from that chapter to underline and write in your journal. Perhaps memorize and write about it as well. Laura Warner, Travis Duke, Linda Bach, Rebecca Haapanen and Deborah Cuellar. YOU can win just by shopping on Kidology in December and even WIN AN APPLE iPAD MINI!